A few days ago, one of the women in my Insta spoonie community passed away. She was several years younger than me and I just absolutely hate that this has happened. 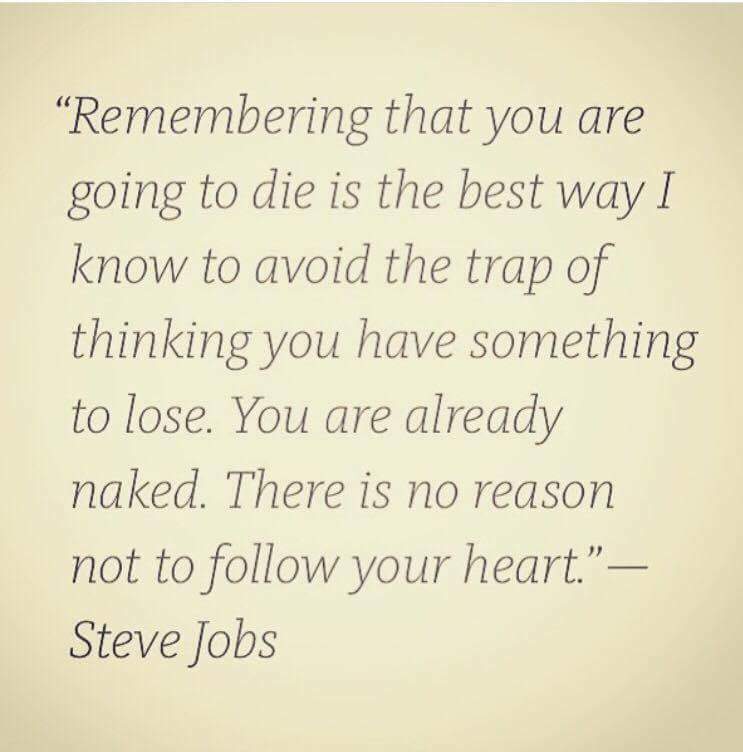 Then, the next morning, I saw the above thought from Steve Jobs in my Insta feed and it was right on time. Before I go on, let me say, I am not a morbid person at all. 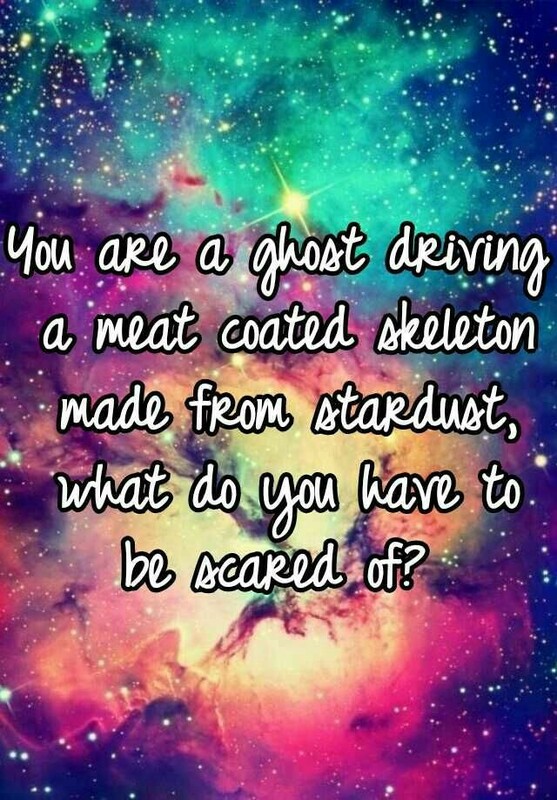 However, with fourteen years of nursing experience, I have a unique perspective on death. I’ve worked with hospice patients, where the dying person had lived a long full life and the end was peaceful and even welcomed by them after a long illness. I’ve lost the young suddenly where it was truly horrifying to everyone involved. I’ve worked with HIV patients and seen the devastation full blown AIDS causes at the end of their lives. I still can’t talk about some of them without tears. I’ve often seen well-meaning family members go to extreme measures to keep a body alive when the mind – the soul even – aren’t there anymore. Oddly, before the news of this latest spoonie loss came to me, I made a mental note to complete a living will when I was working a recent shift and saw some things that truly disturbed me. Nurses know that there are much worse things than dying. And I always have to kind of “de-nurse” when I leave work, get in the car, blast my music, sing, dance, get out of that head space because I’m thankful for all I’ve learned but I don’t want to live there. And I learned about my fellow spoonie shortly after my de-nursing that shift. Anytime there is a loss in our spoonie community, it is felt by everyone. There is immediate grief for the person who has passed away. There is often shock and disbelief. And there is a palpable sense of fear as well, as we are all sick too. It’s completely understandable and reasonable to be frightened, when these spoonie bodies of ours do whatever they want and the meds are often as terrible as the disease and we usually have multiple diagnoses and our health status can change from hour to hour and too often we find that our doctors don’t even know what the hell to do with us. This time, though, I am saying no to the fear. I am choosing instead to be pro-active, spending this week focusing on cleaning up my diet the rest of the way (is there help for Cherry Nerd Slush addicts? ), making sure I get my exercise in, and meditating. And I am focusing my energy on good things: exciting school stuff starting on the 15th (and a million things I have to finish before then) and an upcoming trip to see my bestie (yay!) and just my regular life (which is pretty amazing). I will not live afraid. Not of dying. Not of my illness. Not of change. Not of trying new things. I believe with all my heart that living brave and living free and living with passion are how we survive and thrive in this madness. And not just us spoonies.